Fallout 76 players who die during the game – whether at the hands of the game’s West Virginian monsters or other players – will not lose their items after they shuffle off their mortal coil. Both senior vice president Pete Hines and game director Todd Howard confirmed that you won’t be ‘punished’ for death, and will simply respawn in a nearby location. 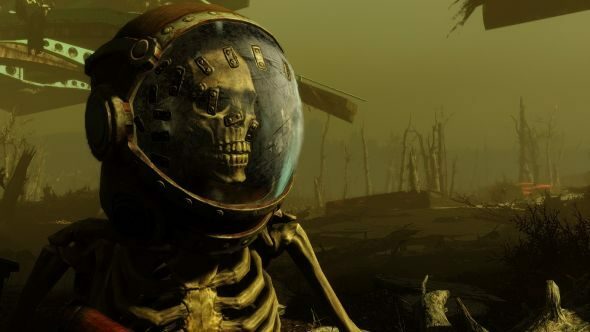 There’s plenty of good news relating to Fallout 76 when it comes to combating griefers. Sure, you can be killed over and over by Fallout 76’s monsters if you’re not careful, but players won’t be able to kill you over and over, because the game’s PvP is more like a challenge system than anything else, according to Pete Hines. If you don’t want to fight someone anymore, you don’t have to. You can check out an extended gameplay trailer for Fallout 76 below, which gives you a look at some of those monsters, as well as offering some potential hints as to how PvP might work. The Fallout 76 release date has been confirmed as November 14 this year, meaning you don’t have to wait too long to head out into West Virginia’s wasteland.